Despite several Presidential directives to the relevant agency of government with the statutory mandate to be the custodian of all government’s properties, it would appear that the speed to perform such task has fallen far below the expectation of the Liberian Chief Executive who the process of enforceability has issued a two-week ultimatum for all vehicles and properties owned by government to be collected or retrieved. 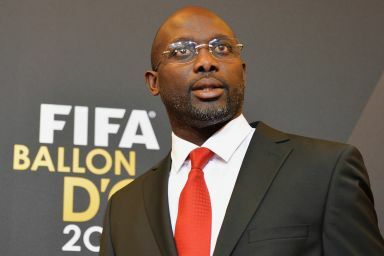 Sounding the caveat on Friday, February 23, 2018 when he and entourage returned home from abroad, President Weah accused some former officials of damaging the vehicles and or stealing them while others were hiding the vehicles in bushes and warned that government will go for these vehicles if they don’t honorably return them. “They are stealing all the cars leaving this new government with the burden to buy new vehicles. What is s car that you cannot be honorable enough to leave behind? In the report it was stated that some former officials of the Ellen Johnson-Sirleaf-led administration are still in possession of the government cars though they have been warned to turnover those cars more than a fortnight ago.